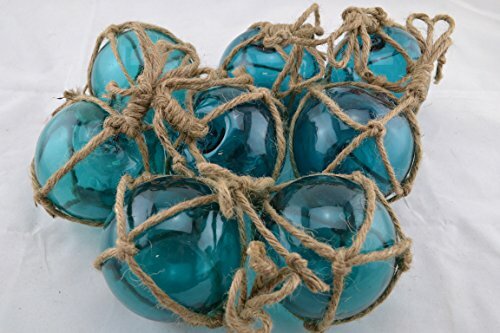 8 Pcs Turquoise Decorative Reproduction Blown Glass Float Fishing Buoy Ball with Fishnet 3'' by Shells&Co at Home Decor Outlet Store. Hurry! Limited time offer. Offer valid only while supplies last. Reproduction glass float fishing ball buoy. The size is 3" diameter. You will get 8 pieces. If you have any questions about this product by Shells&Co, contact us by completing and submitting the form below. If you are looking for a specif part number, please include it with your message.